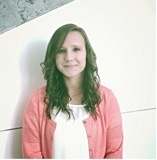 Cassie Chadwell worked as a Program Support Practice Fellow during the summers of 2014 and 2015. She coordinated the Diabetes Tele-Education Program, and was a key leader in the Southwest Virginia Tobacco Free Campuses Initiative. Her 2014 research on best practices for tobacco policy change on colleges campuses helped to inform policy change at UVa-Wise. Cassie graduated from UVa-Wise in 2015 and is completing her Masters in Industrial/Organizational Psychology at Radford University.